Supply chains are getting smarter, and not because we as human beings are growing collectively better at predicting when inventory will run out, or calculating invoices. Supply chain management is receiving a major boost from artificial intelligence. According to predictions by McKinsey & Company, firms may see around $1.3 trillion a year in economic value from using AI in supply chains and manufacturing. Only marketing and sales will see a bigger impact from AI going forward. It’s understandable that big companies like Amazon and Wal-Mart will see big benefits from using AI, seeing as how their supply chains and dealings are global, complex systems. It’s harder to see how artificial intelligence can make such an impact for small and medium-sized businesses. But AI is more than just a HAL-like computer talking in your ear. AI and deep learning are already making an impact in the supply chain space. Here are a few ways that AI can make your business’s supply chain more efficient and productive. A major part of supply chain management is how it helps businesses predict how much inventory they’ll need to have on hand, and when. The carrying costs of inventory can be a major burden to companies. In the past, in order to ensure enough inventory was on hand to meet demand, businesses simply ordered and held on to enough inventory to be sure. Costs such as the price of warehouse space, insurance, and money lost due to damaged or unsold inventory can rack up that way. Instead, companies are trying to do a better of job of predicting the demand they’ll see, and artificial intelligence is immensely helpful in this regard. On-the-fly analysis of patterns from previous years, plus incoming information, can help businesses strike the perfect balance of just-in-time inventory. Too many businesses are still using manual processes to manage their inventory, or not managing their inventory at all—just winging it. Too many businesses are still using manual processes to manage their inventory. For your business to be successful, you don’t need to compete with Amazon’s ability to sell everything at low prices. But you do need to compete in terms of keeping inventory management costs low, while remaining efficient. In two major ways, artificial intelligence can help increase the efficiency of how goods move. On a global scale, historically the big players in global shipments (ports, container ships, etc.) have lagged behind technological improvements that made tracking a shipment difficult once it hit the ocean or arrived at a major facility. But AI systems are getting better at predicting the arrival and movement of inventory, to the point that businesses and, more importantly, customers, are aware of the near-exact location of their shipment at any given time. Thinking more locally, from the route that pickers-and-packers take to find inventory in warehouses, to the routes delivery drivers take to get shipments to the front doors of customers, AI is helping to create shorter and more efficient paths. This tiny changes in which street a driver takes to reach their destination can save millions in dollars, from actual time spent to gas money to vehicle wear and tear. 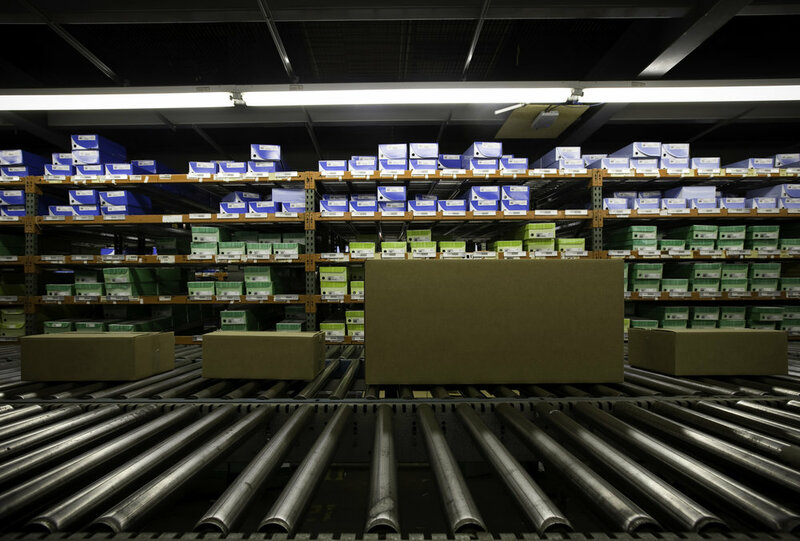 Businesses that don’t use automated inventory management are likely using “stale data.” Any information that isn’t real-time at this point should be considered out-of-date, which leads to suboptimal supply chain performance. Perhaps just as important as having real-time data is the capability to make that data available to AI algorithms. Artificial intelligence is nothing without data to interpret and act upon. It also needs access to the forward-most demand and downstream supply. This “community data” is what gives businesses transparent understanding of everything that goes in to the supply chain, and allows them to identify areas of friction, unnecessary costs, and leverage points. Managing invoices, paying suppliers, and ensuring all payments are on-time is one of the least fun parts of running any business. Some business owners might be surprised to know that AI can manage this busy work as well. AI can be used to scan invoices and predict payments. Some tools can use past performances and patterns to forecast which of your clients will pay late, and thus how much money you’ll really have on hand at the end of the month, quarter, or year. Knowing how much liquid cash you’ll be able to work with while waiting for a client is crucial for when last-minute expenses pop up. Thankfully, now you won’t be taken by surprise. One overlooked aspect of the supply chain is the role of fixed assets. Fixed assets are the long-term pieces of property used to produce income, such as income, heavy machinery, or vehicles. If your assets break down at a crucial time, you’ll run the risk of missing deadlines or undershooting your estimates. Artificial intelligence can help boost asset management by predicting when certain machines are likeliest to break down, and schedule maintenance check-ups to make sure that doesn’t happen at an inopportune time. Chatbots used in customer service are an increasingly popular way for businesses to interact with customers around the clock, updating them on the status of their delivery, without dedicating valuable and expensive hours of customer service representatives’ time dealing with basic issues. Additionally, one emerging machine learning application is creating purchasing recommendations to e-commerce shoppers based not on text searches and brand but image recognition. This visual pattern matching can help businesses improve their demand forecasting and better serve customers who want an item right away. These advances in artificial intelligence don’t even touch on some of the more dazzling aspects of AI and deep learning trends, such as robotics and the Internet of Things. 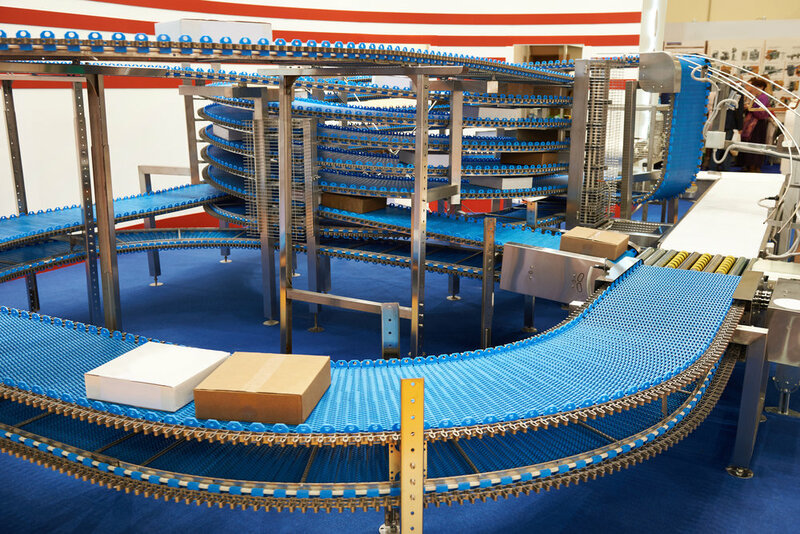 No doubt that machines that can detect issues on the conveyor belt, or sensors embedded in physical objects that broadcast their location and status, will bring even greater efficiency and transparency into the supply chain. It’s an incredibly exciting time for supply chain management. The field promises to explode with investment and innovation, and all kinds of businesses, from the tech behemoths to the tiny family firms, will be able to capitalize. The trick is understanding just how great the role for artificial intelligence is in this space, and not simply thinking of it as science-fiction. AI is already making inroads into the field—and your business’ ability to think outside-the-box in terms of how it can be incorporated will make all the difference.